Need an intense kick of spiciness? 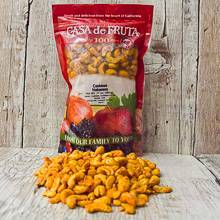 Then these creamy cashews coated in habanero seasoning are the snack for you. Make sure to have a glass of water handy! Packed in a 17 oz. bag.